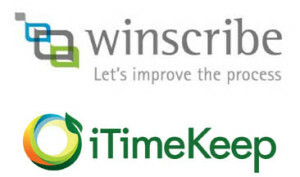 The new integrated Winscribe and iTimeKeep Mobile Documentation and Time Entry Solution will allow professionals such as attorneys to quickly and easily document case information and time. The most valuable asset of law and other professional services firms is time. When documentation and billing tasks can be completed more efficiently, time is freed up to acquire new work, increase billable hours, and serve clients better. To find out more about this exciting new product, go to www.winscribe.com/winscribe/news-and-events/news/archive/2014/winscribe-and-bellefield-systems-partner-up-to-provide-the-ultimate-mobile-documentation-and-time-entry-solution-for-attorneys. Tekton is the go-to source for equipment, software, and expert consulting for speech processing and transcription. Tekton offers the latest portable and integrated digital / mobile dictation products from Winscribe, Philips, Dragon, and Olympus. These tools enable increases in productivity for many organizations. This entry was posted in Product News and tagged attorney, attorney time management, Bellefield, digital dictation, integrated dictation and time entry, iTimeKeep, law firm, Mid-Atlantic, mobile dictation, mobile documentation, mobile time entry, North Carolina, productivity, productivity solution, Richmond, time management, Triangle, Virginia, Winscribe. Bookmark the permalink.